2 reviews for NY Vapor Labs's 10 different products. Vaped on Magma/Cana Modz @ 30w. Fresh out the mail this juice had a bit of a plastic flavor to it. I steeped it for ~1 week. After that the flavors really came into play. It is a very creamy vape, unlike a custard though. The flavor is like a mug of warm milk, a bit of a sugary tone to it in the background, and a light but lingering creamy after taste much like and ice cream. Not much on the inhale, most of it comes through on the exhale. If you like a creamy cape and want to try something other than a custard I would suggest this, it is a refreshing take on the cream flavors I have tried prior to it. Liz lemon starts as a fresh vape with undertones of earthly flavora, you cant ppace any of the flavors but it starts as a fresh juice, then it ages. About two weeks into it nothig has changed but the color. A month in and it is still more or less tasteless. Be that as it is, I cant say this is a bad juice, it was just not the juice for me. The compmay has other juice that is much better. 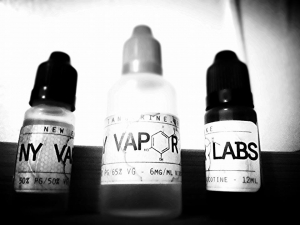 0 reviews for NY Vapor Labs. JuiceDB doesn't know what anyone thinks of NY Vapor Labs. Be the first to review this business!